Navarra export catalogue - Gráficas Estella, S.A.
Gráficas Estella, S.A. (GESA) is one of the leading European Graphic Arts companies. We are located in the north of Spain and offer COLOUR BOOK publishers an integrated production service, from the receipt of originals to storage or shipping of the final product to its destination. We offer the same service in Rotativas de Estella, S.A. (Rodesa) in a highly-specialised plant for publishers of BLACK AND WHITE BOOKS. 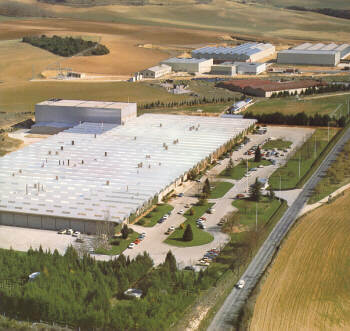 The plants and offices of the two companies are located just outside the town of Estella (province of Navarra) 40 kilometres from the capital, Pamplona.